We love the choice of gold foil to accent the beautiful photos on this simple, two-sided Shining Bright Christmas card. 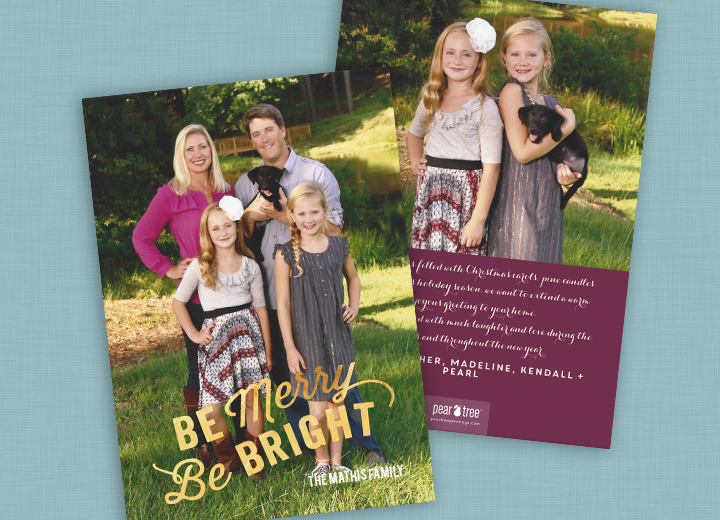 This family was excited to introduce their new puppy, Pearl, to friends and family, and chose this card because it had “the perfect sparkle for a Christmas card.” But more than the card choice, we love what mom, Heather, says about the tradition of sending Christmas cards and the meaning they hold for her family. We couldn’t have said it better, ourselves! For more Christmas card ideas, keep reading our blog or start shopping for your Christmas cards.